As for today, it was a nice Easter that started off with me Skyping with my nephews. Many of you that have followed since the beginning know that I have twin sister that has two little boys. I got to watch them get their Easter baskets and show me what all they had. Lucas was born at the end of my PCT hike, Aidan was born at the end of my CDT hike, and my sis couldn’t turn it around fast enough for baby #3 on my AT hike…but I can now announce that BOY #3 is due at the end of this August and I hope to finish the Great Divide Trail just in time to make it there for the birth of the new little guy! Exciting! 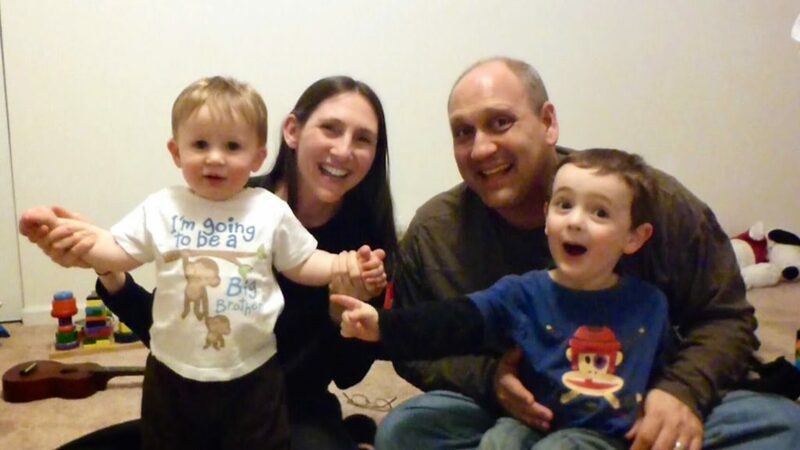 Aidan, my sis Siobhan, her husband Randy, and Lucas excited for BOY #3! Today was spent mostly in front of the computer just wishing the internet would go faster. I was able to reply to some comments and I love them, but couldn’t reply to all as I’m sure you all understand. It’s odd to have it all so delayed, but it’s nice to at least get things up as soon as I can. It may be another week until I get to the next town of Escalante for service, so again, there may be a gap and then a whole bunch at once. I’m feeling better and really excited about the upcoming legs. I feel like the trail (and myself) may be hitting its stride. I know this trail is a bit different in that most people don’t know where I am exactly, but it’s really cool the way this trail connects from one canyon or wash to another through various ways. It’s quite a work of art and an amazing experience I’m slowly learning. The best part is when a local asks about the details and they know the places since they have been to many of them as day hikes or weekend trips. The Hayduke is basically taking the most awesome parts and finding a way to string them all together. Such a unique experience that gives quite the jam packed punch of a hike! Up next is the Henry Mtns and our high point of Mt Ellen in two days. We’ll be hiking in snow! We will head out with Gavin who has also been in town with us, but will probably choose to stop in a town rather than do the 8 day leg Katherine and I have planned to Escalante. So many choices on this trail. 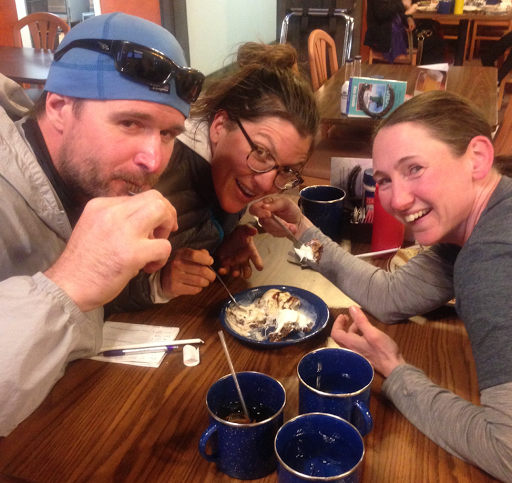 Here we are with a skillet cookie to fuel up for the Henrys! I do want to give a shout out to the town of Hanksville. Man, what great people. Eveyone has been sooo kind and helpful! I want to especially thank the Hanksville Inn and the Whispering Sands Motel. Both wonderful places with people willing to go out of their way to help you out. I ended up switching to the Whispering Sands Motel to be closer to the building I was doing most my computer work in and the owner of the Hanksville Inn volunteered to drive me the short distance even though I was leaving his place. Plus, he volunteered to give us a ride back to trail on what could be a difficult hitch. So great! He’s quite the character, but totally what the Hayduke’s all about so both places get my stamp of approval. Heck the whole town does! Thanks to Hanksville for being part of this crazy unique experience!